The Squadron presents a number of awards each year, normally at our Annual Formal Inspection. Details of the awards are given below. 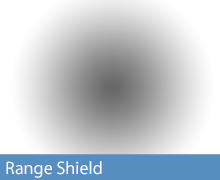 Click on the image to see a list of past winners. 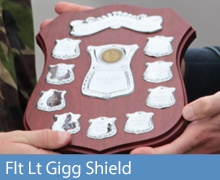 Awarded to the best cadet (excluding Cadet NCOs) over the last year. 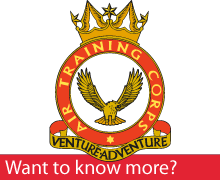 Named in honour of a long serving member of staff Flt Lt Vernon Gigg. First awarded in 2003, now presented annually to the best new recruit over the year. The Lilley Trophy - In Pusuit of Excellence. Presented to the Squadron by former Mayor of Surrey Heath, Cllr Roy Lilley in 1989. 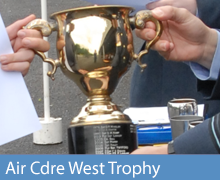 Awarded to cadets who show continued determination and effort. 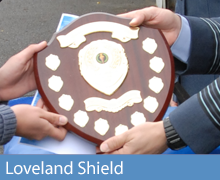 The Loveland Shield - Sports Cadet of the Year. Presented to the Squadron by committee members Mrs and Mr Loveland in 2011. It replaced the Field Sports trophy. Awarded annually since 196? 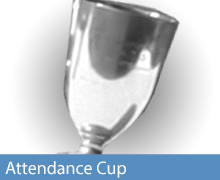 to the cadet with the best parade night attendance over the last year. 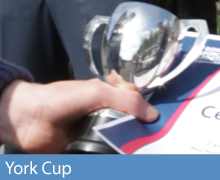 The York Cup - Best All-Round Cadet. Presented to the Squadron by former member of staff Fg Off York in 1962. 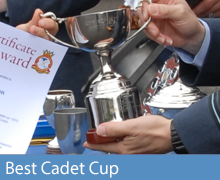 Now awarded to the cadet with the most Flight Points over the year. 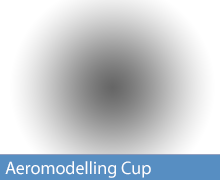 Presented to the cadet who has produced the best model of an aircraft over the year. 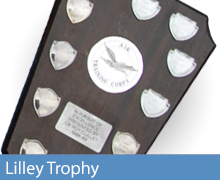 Recently presented to the winner of the Sqn modelling competition. Presented to the Squadron by former Mayor of Surrey Heath, Cllr Gordon Parris in 1996. Awarded to the best shot on the Squadron.